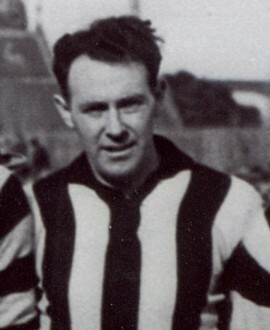 The son of club legend Jock McHale, John served on the commitee for many years. He played under his father’s coaching and made the grade on his second chance. Early on his father thought he was too skinny for League football and he drifted away to the amateurs where he suffered a ruptured bowel that put him in hospital for months. He tried out again and led the Magpie seconds to the 1940 flag before business forced him to retire.